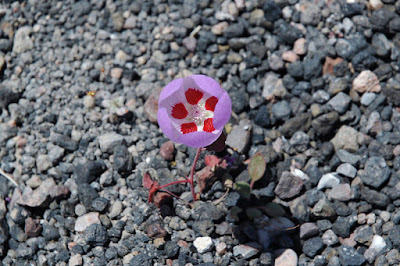 Sometimes finding interesting things in the middle of nowhere provides an experience that somebody wanted to share. 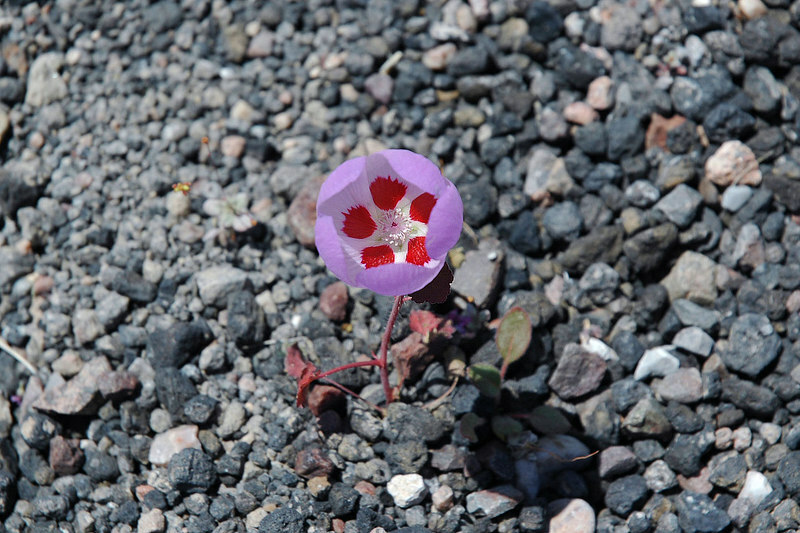 There is always wonder in exploration even though it is not new to anyone else but you. 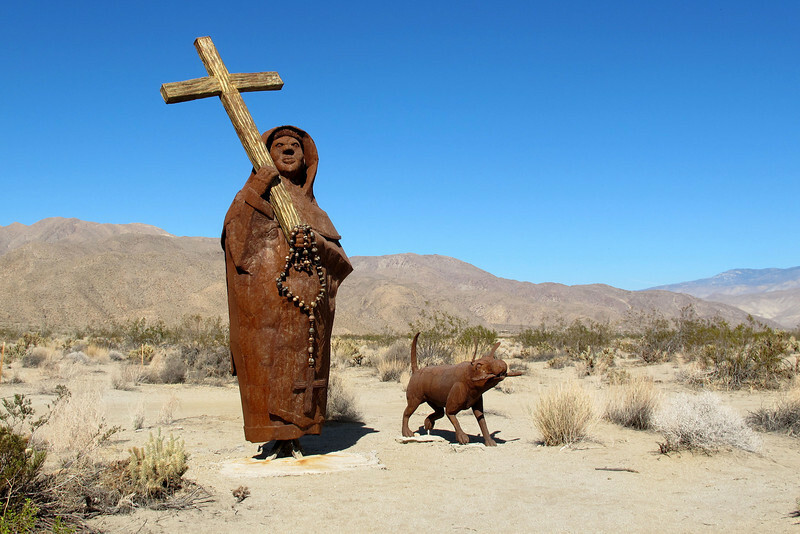 That is the Sermonette. The sculpture below of the priest and his loyal dog reminded me - just in metaphor - of fellow blogger, LSP, and his faithful dog, Blue Guardian. 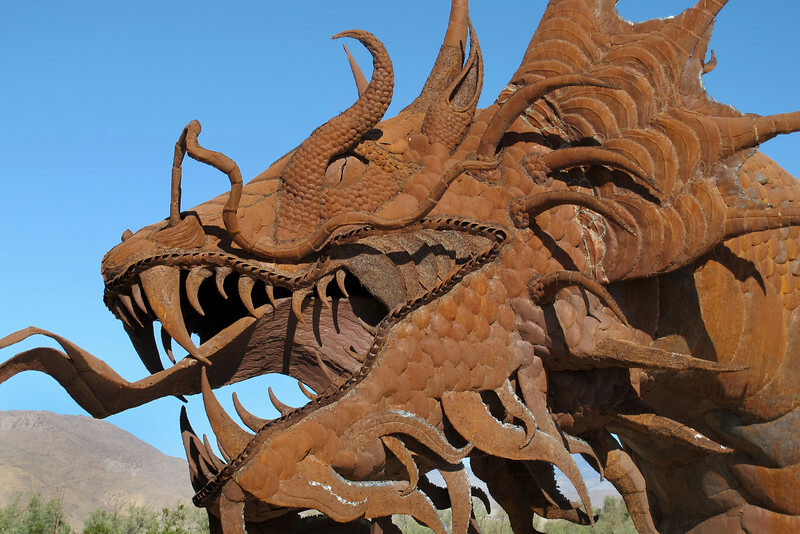 Roaming around in the Desert Southwest, sometimes you happen onto sculpture. 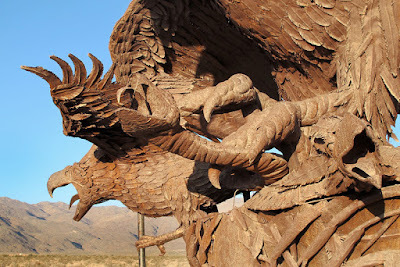 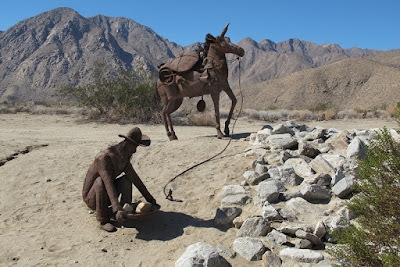 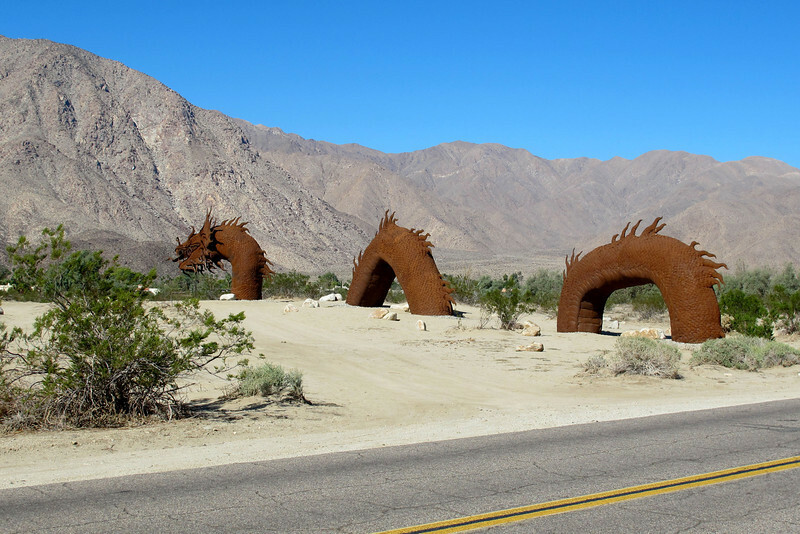 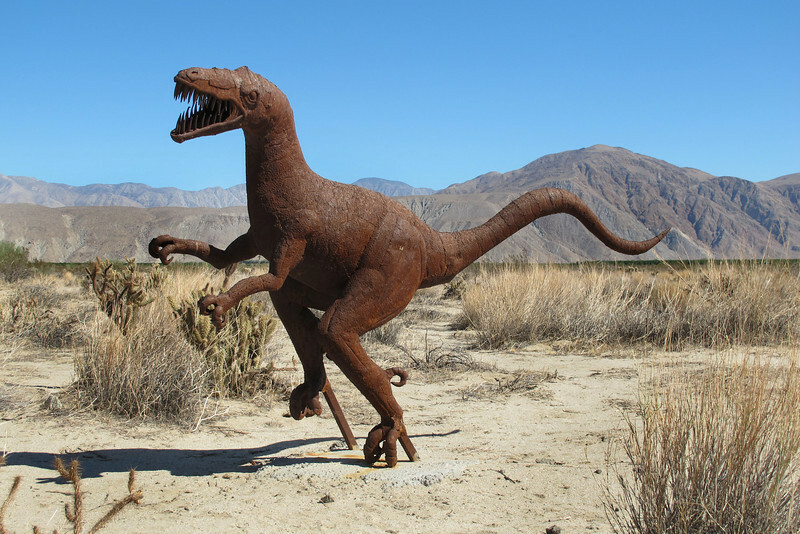 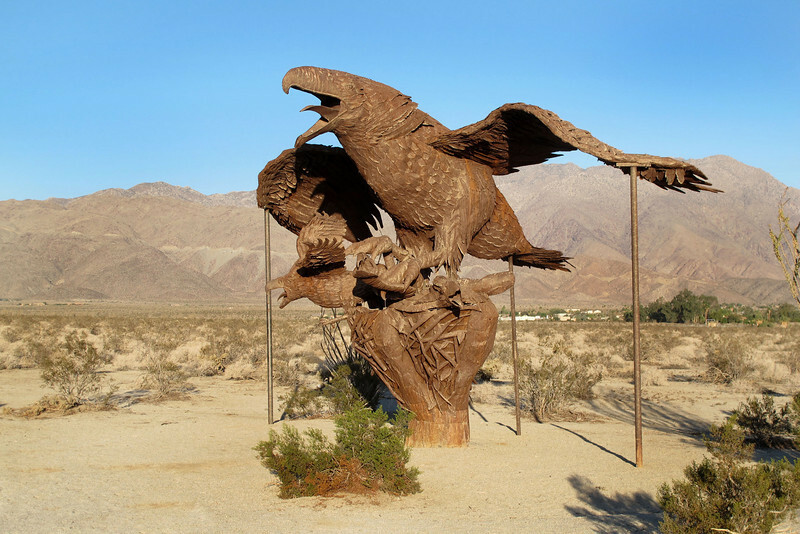 There are a lot of sculptures in Death Valley (teakettle junction, crankshaft junction, etc). 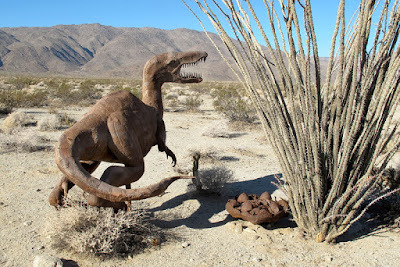 Some along the Mojave Road, near "the mailbox" - though the rangers destroy and take those down all of the time. There's not much the BLM hates worse than sculpture. 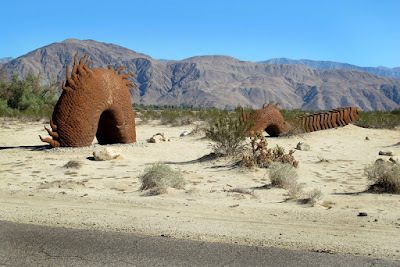 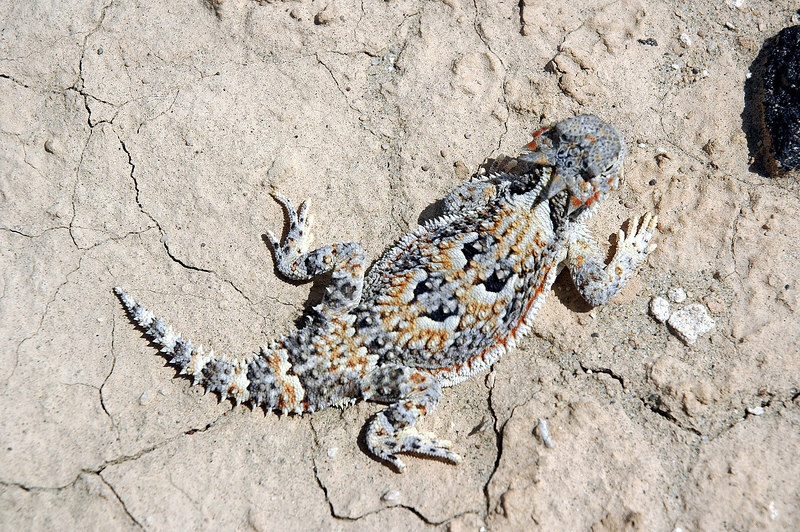 These are in the Anza Borrego Desert, inland of San Diego, California. 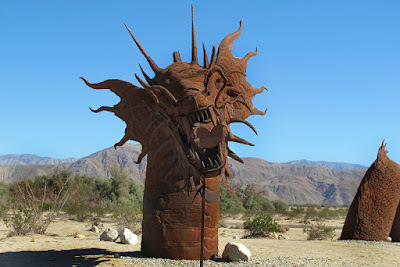 The more time you spend out in the Mojave Desert, the more often you run onto interesting things in odd places. If you're interested in an interesting drive across the desert, I recommend the Mojave Road. 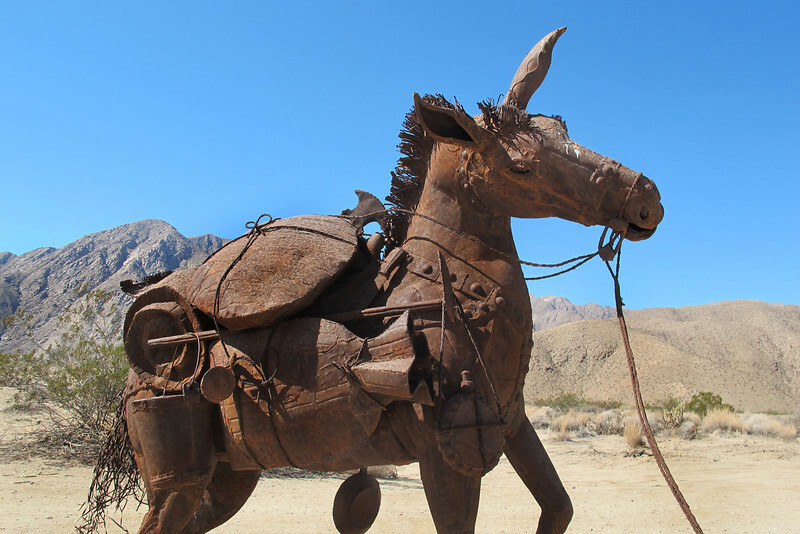 Here is the guide book The Mojave Road Guide: An Adventure Through Time. While Mojave Road is interesting, there are lots of detours that make it more interesting. 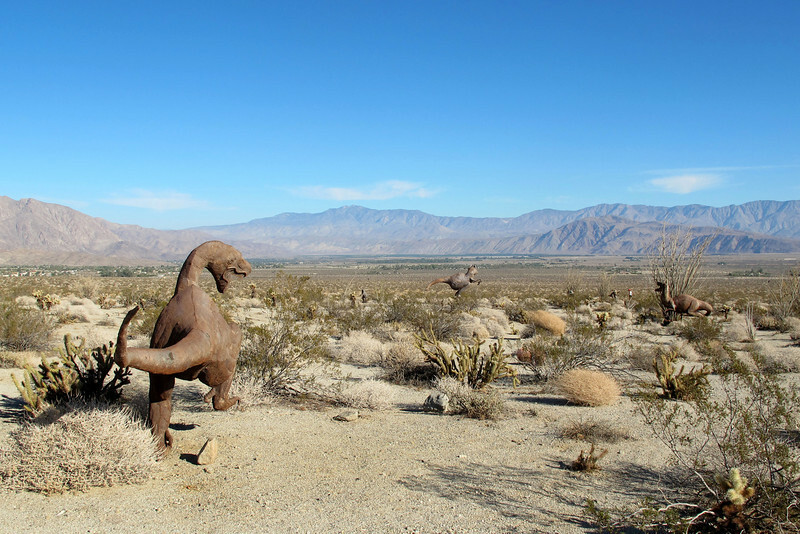 The Mojave Road is far north of Anza Borrego, which occupies the Sermonette today. 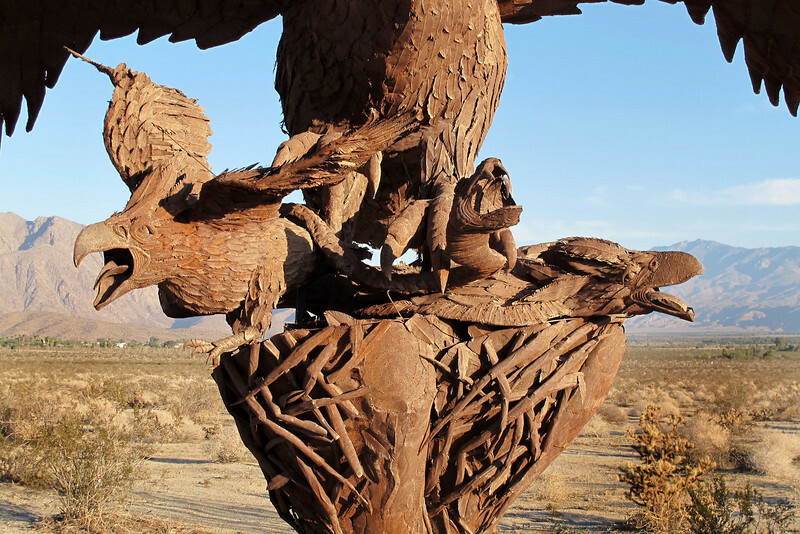 The details shows two baby birds in the nest. 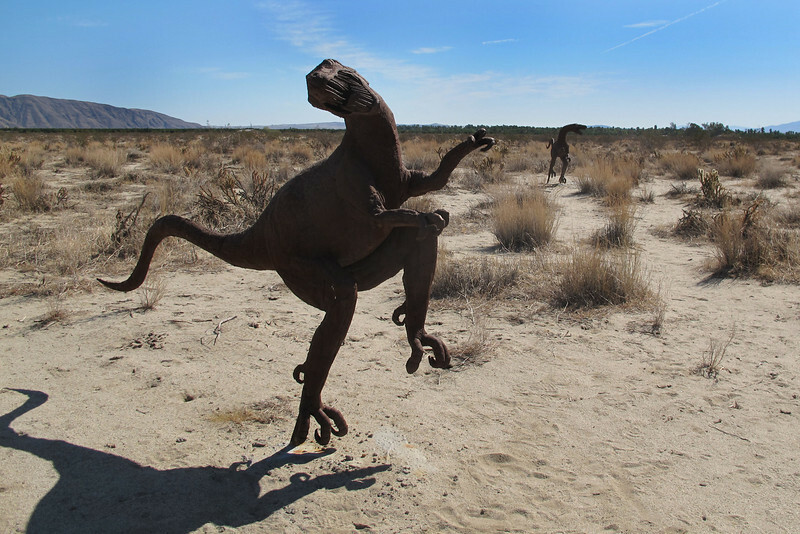 The mother has a snake in its talon - lunch for the chicks. There are a lot of dinosaur sculptures, maybe forty or so total. These are simply representative of what's out there.